Angelo's Foods isn’t just a grocery store; we also offer catering. Choose from our hot hors d’oeuvres, cold hors d’oeuvres, and several meats and Italian dinner favorites. 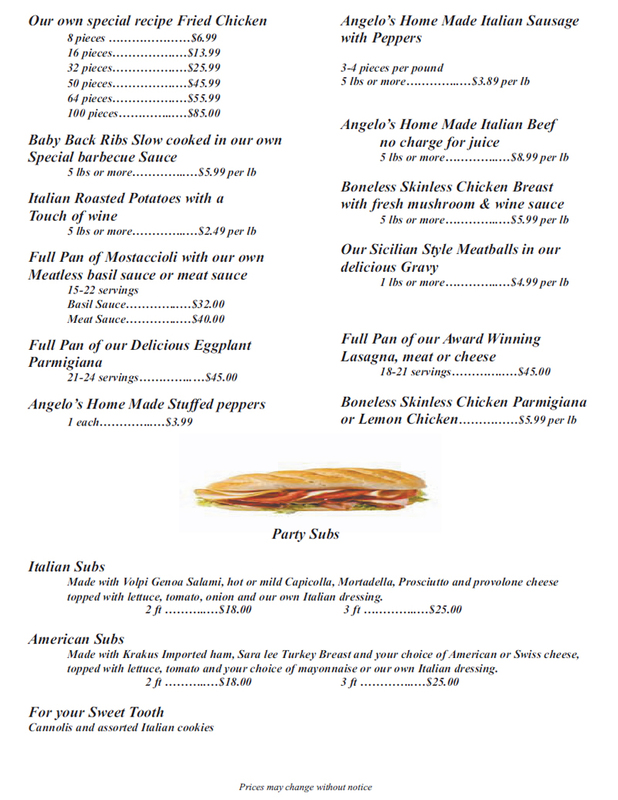 We also have party subs, cannolis and Italian cookies. 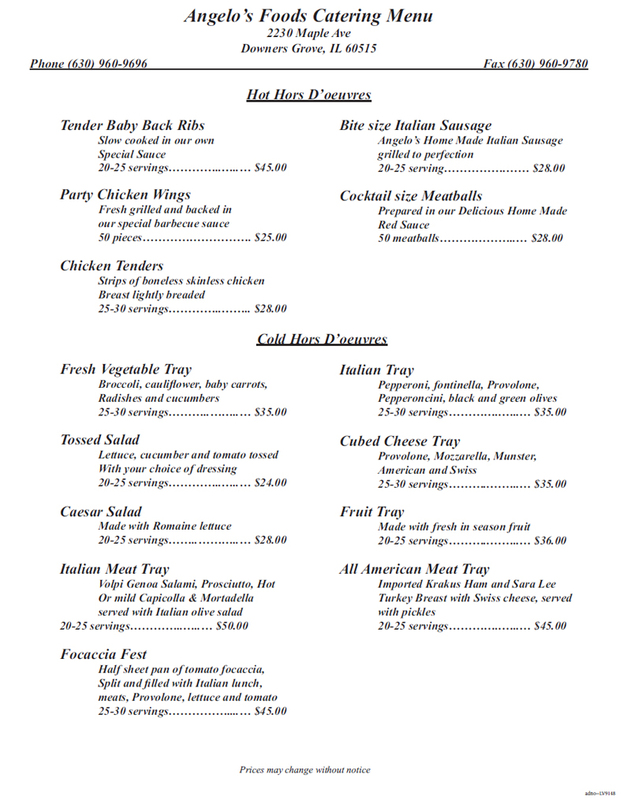 Some highlights of this menu include cocktail size meatballs, cubed cheese tray, focaccia fest, fried chicken, baby back ribs, eggplant parmesean, stuffed peppers, chicken breasts, and fruit and veggie trays. 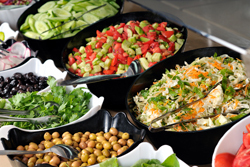 View our full Catering Menu with detailed descriptions.